Autumn inspires me…to cook, to harvest what is left in the garden, to sit by the fire, to take long walks! The crispness in the air, the deepening of the shadows, the ever-so-slowly shortening of the days (although this is one thing I don’t like!). 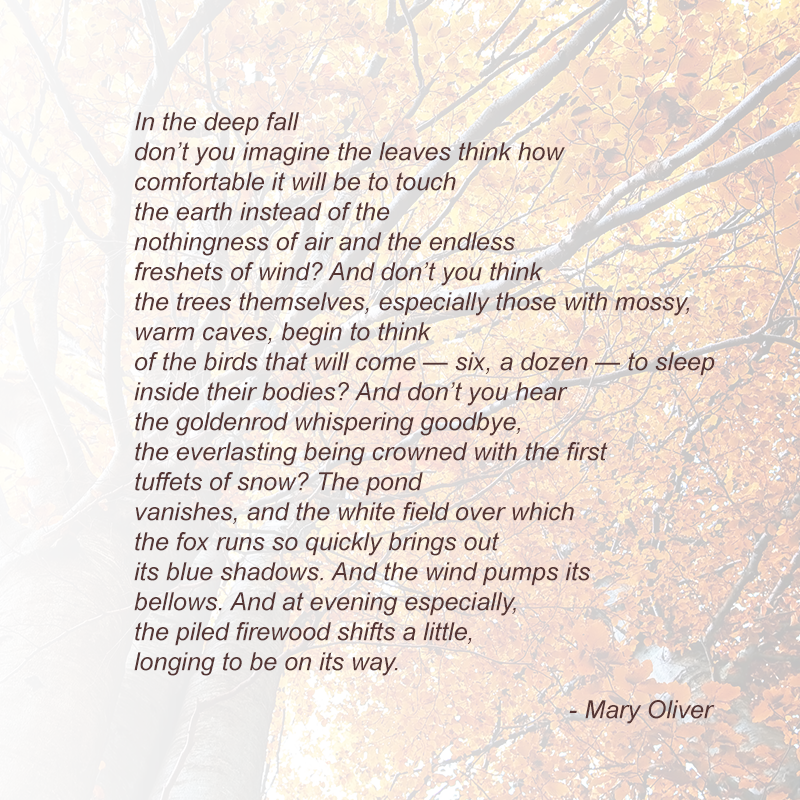 While working on the newsletter, a slip of paper dropped out of a book, and it was a poem by Mary Oliver, one of my favorite poets who uses nature as an inspiration. Her poem, Song for Autumn, captures the essence of the season for me, as well as the natural rhythms of nature. Nature has a natural rhythm, and we as individuals have our own natural rhythms as well. It is important to make sure we take time to slow ourselves down so that we can feel what is right for us, make sure we are taking care of ourselves, eating right, exercising right, managing our energy, getting enough rest, connecting with Nature. Take a walk, rake some leaves, build a bonfire, witness the changing of the seasons, and know the beauty of nature is in you. Gluten free diets have become popular lately. Gluten is a protein found in wheat, barley, spelt, and rye, and oats are often contaminated with wheat proteins from processing. Gluten-free oats have been grown and processed away from gluten-containing grains to avoid cross-contamination. Some people have Celiac Disease or non-Celiac Gluten Sensitivity, and need to remove all traces of gluten from their diets. Others may benefit from removing wheat from their diets, even if gluten itself is not the problem. Sometimes people think they are gluten-intolerant when in reality they are lectin-intolerant. Lectins are natural proteins found in foods that can react with blood type antigens. Simply put, lectins make things stick together. This can be beneficial as when lectins stick to waste products and make it easier to remove them from the body. But lectins can cause blood cells to clump together, increasing the chance for a reaction. Some lectins will attach to cells where insulin should go, preventing real insulin from doing its job. Or they can block a hormone from being released, or encourage the body to release a different one. They can make the liver or kidneys more sluggish. Lectins can be problematic, and over the years, I've seen thousands of patients' health improve by eliminating negative dietary lectins from their diets. Since there are blood type antigens found in the digestive tract, the negative effects of dietary lectins can cause inflammation in the gut and affect digestion. Some lectins make it into the blood stream to cause problems elsewhere in the body. Lectins are very blood type specific; there are foods that are toxic for one blood type, yet perfectly healthy for another, and this is why the personalized elements of the Blood Type Diet can make such a big difference. Lectin damage can be responsible for many of the health problems that make people consider a gluten-free diet, such as achy joints, fatigue, skin problems, and digestive issues. Wheat germ agglutinin, or WGA, is a potent lectin found in wheat. Many people who think they're gluten-intolerant may have problems with WGA instead. These individuals may do just fine with barley, rye, and/or spelt. The trace amount of wheat found in regular oats is not enough to cause problems for many people, including some who don't tolerate wheat. This would not be true for individuals who have been diagnosed with Celiac Disease. The Blood Type Diet is designed to minimize the harmful lectins in your diet. Individuals with an intolerance to wheat may want to see if they can tolerate the gluten in grains that are beneficial for their type. Some people truly are intolerant to gluten and need to avoid it, while others find that it is the lectins in wheat, and not the gluten, causing their problems. Sometimes the switch to a gluten-free diet worsens health. For example, a Blood Type B individual may stop eating white bread, and replace it with a gluten-free product containing corn, or a Blood Type O individual will chooses a product made with tapioca, which is a neutral food for them. By going "gluten free," they actually added in other foods/ingredients that can have negative effects on their health. This is why it is important to remember that a one-size-fits-all gluten free food may not be right for you, and the key to your overall optimal health is personalizing your food and nutrition choices. And what is the simplest way to do this? Know your blood type. The following chart hightlights the foods that contain lectins specific to each blood type, which should be avoided. 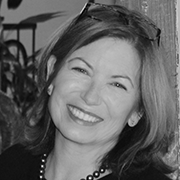 Editors Note: For more information on lectins, please refer to our ariicle that excerpts the Lectins Chapter in the Eat Right 4 Your Type Complete Blood Type Encyclopedia by Dr. Peter D'Adamo with Catherine Whitney. First, let’s be clear. 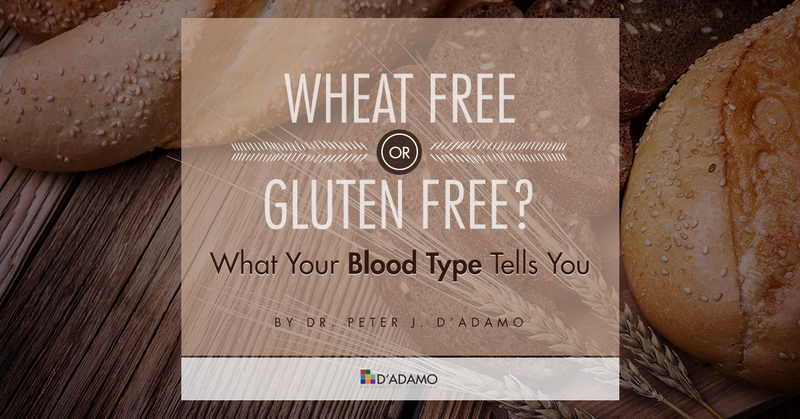 The Blood Type Diet and personalized nutrition programs by Dr. Peter D’Adamo are not promoting “gluten-free.” They are individualized, personalized low lectin food plans that eliminate the negative effects that dietary lectins have on our health and wellbeing. With wheat being one of the big lectin avoids, many people have assumed that going gluten-free can reduce the level in wheat in our diets. However, many Blood Type Diet followers are questioning whether gluten free products will eliminate the “avoid” foods from their diets. The answer is generally, no. The first step in eliminating avoids or gluten is to not buy or consume processed foods. 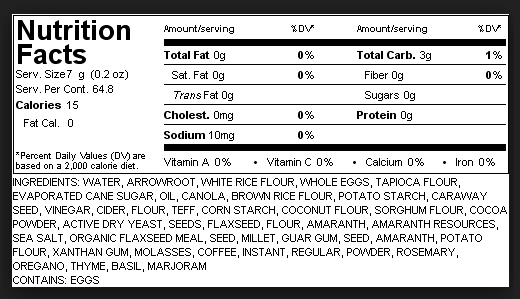 Wheat/gluten masquerades in a myriad list of products like breads, soy sauce, ketchup, sometimes even chicken broth. However, many gluten-free alternatives include corn or tapioca as ingredients which are avoids for some of the blood types, so it is imperative that if you choose gluten free, you make sure that there are not other ingredients in the product that you need to avoid. In this particular label, even though you may think you are doing something right by eating gluten free, let’s highlight a few foods and their Blood Type food values. So, when you thought you were doing something good for yourself by going “gluten free,” you actually swapped out one avoid for another. Our best advice. Don’t confuse wheat free to mean gluten free; read your labels, and if you have a questions, double check your food values either in Eat Right 4 Your Type, on TypeBase4, our on line food values resource, or the handy Blood Type Diet App for IOS or Android. 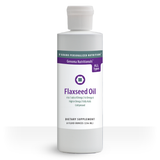 Our Flaxseed Oil Blend delivers a carefully balanced ratio of 7,000 mg of Omega-3 to 1,800 mg of Omega-6 to 2,700 mg of Omega-9. This 3-6-9 combo provides a superior source of EFA's derived from flaxseed, which is the optimal ratio. In addition to the omega fatty acids, flaxseed has a high level of dietary fiber and lignans, which contain plant estrogens and antioxidants. Although not as well known to the public as the omega-3s, the omega-9 fatty acids offer many health benefits. A recent study published in the American Journal of Clinical Nutrition indicates omega-9 fatty acids may play a role in increasing metabolism and improving mood. The essential fatty acid, CLA (conjugated linoleic acid) is found in beef, dairy and eggs, and it cannot be manufactured by the body. It has been observed that the concentration of CLA is one of the main distinctions between meats from grass-fed animals and meats from conventional grain-fed animals. It has been widely researched for its role in supporting weight loss, promoting healthy muscle mass and improving exercise performance. 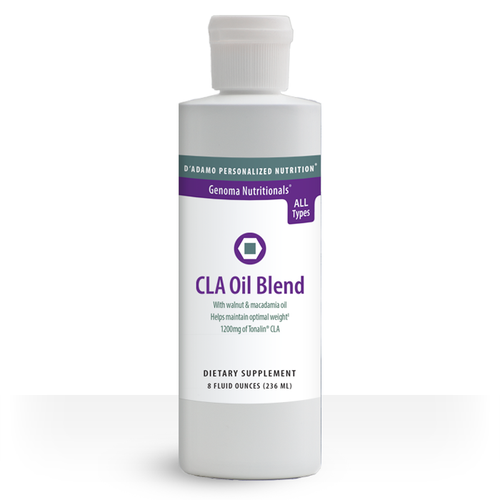 Dr. Peter D'Adamo developed the new CLA Oil Blend to include highest quality omega oils derived from walnuts and macadamia nuts, in addition to industry standard proprietary Tonalin® conjugated linoleic acid. It is cold pressed, and it is packaged in a light-resistant bottle to preserve the quality and freshness of the oils. Our Carob Extract is a blend of four synergistic ingredients designed to support healthy blood sugar levels and maintain healthy intestinal flora. Scientific studies point to its importance as a nutritional add-on for simple occasional fatigue. Over the past few years, Carob has enjoyed increasing popularity as a low fat, low-calorie, and caffeine-free alternative to chocolate. Carob supplementation acts as a mild energy enhancer and assists in the inhibition of bacterial overgrowth in the intestine. 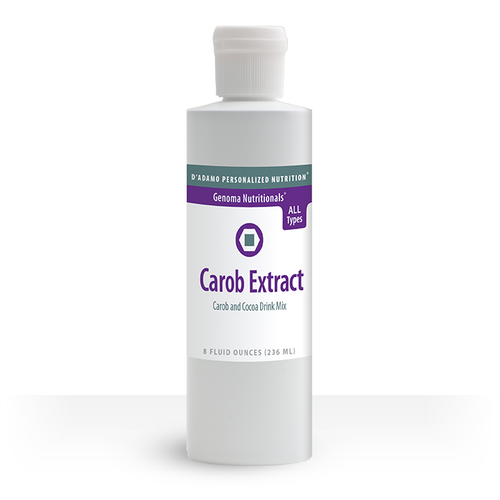 Carob is also a great digestive regulator, helping to enhance optimum peristalsis (the movement of digestive contents through the digestive tract). This exceptional blend of nutrients is formulated to enhance your overall health, vitality, and energy. You know you should eat more fresh, healthy greens — now here is a healthy way to introduce those fruits and vegetables into your daily diet. Harmonia Deluxe features a wide variety of sprouted seeds and grasses bursting with nutritional integrity and enzymatic activity. The blend also contains antioxidant-rich fruits such as elderberry, cherry and blueberry, plus phytonutrients, such as, ginger. There is a certain amount of ambiguity when it comes to understanding exactly what your blood type tells you about your health. But the truth is, there are both many proven facts, as well as any mistruths you are told. So before you start to develop preconceptions, you first need understand what this red stuff going through your veins really is. Find more delicious, simple to prepare recipes in the Eat Right for Your Type Personalized Cookbooks.